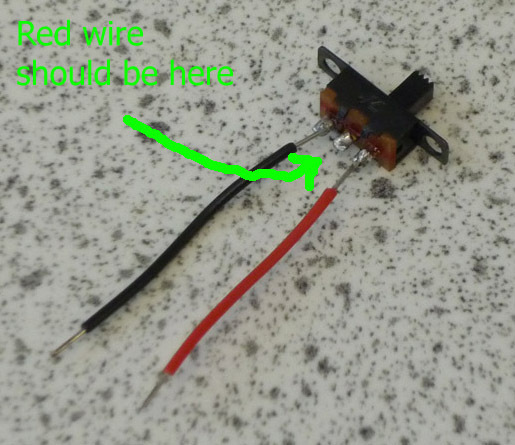 On comparing the circuit to the diagram the first fault is found! An extra wire has been added connecting pin 1 to ground. Nothing melted and I still have all my fingers but it doesn’t work This is frustrating I’ve double checked the circuit diagram, the connections, the pinout of the chip and by all rights it should work!! Note to self… Steve is sneaky. 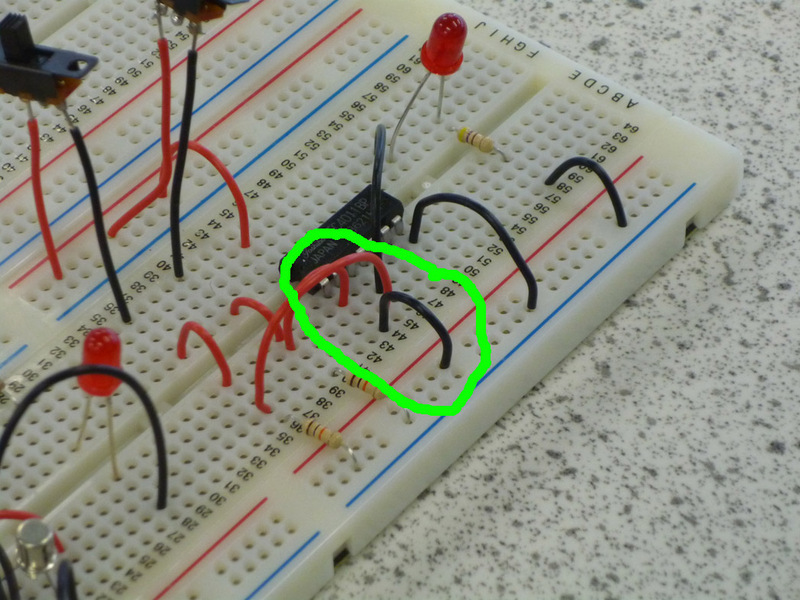 As all my circuits are made on breadboards I had removed all references to soldering from my original fault finding document. For this circuit I used two SPST switches, as they don’t fit straight into the board I had to solder on lead wires to the correct points. After examining the switches I can see that he’s changed the points that my wires are attached to, moving one on each off the common!